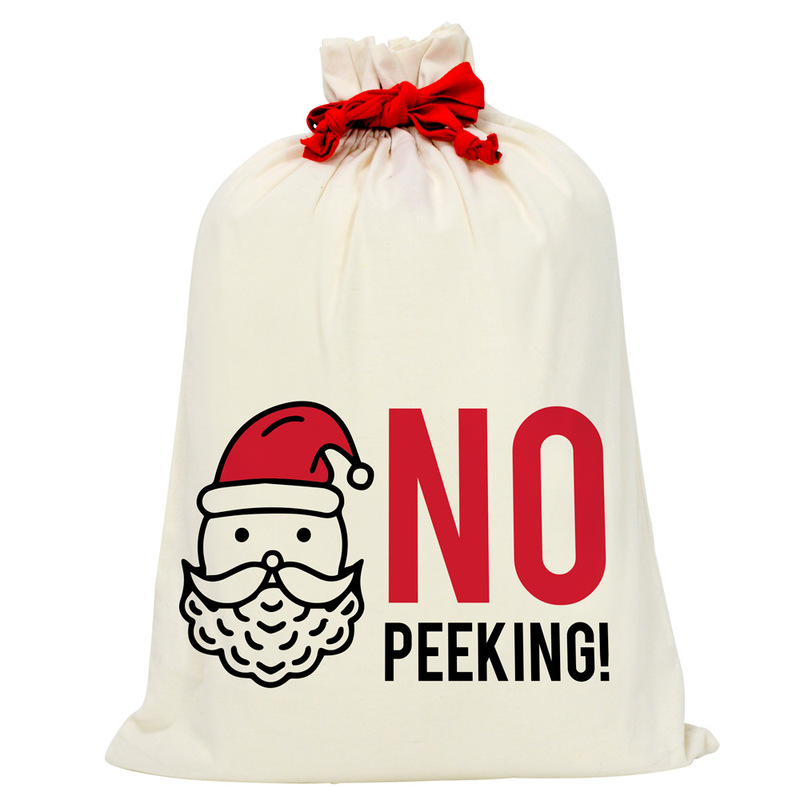 Celebrate the festive season and store all your presents in this No Peeking Santa Sack. Crafted from cotton, this large-sized Santa sack features a red drawstring and includes ‘No Peeking’ on the front. Just don’t forget to leave it out for St Nick on Christmas Eve! Large-sized Santa sack makes storing plenty of presents easy. Printed with ‘No Peeking’ on the front. Dimensions: 75cm (h) x 55cm (w).